Will Another Country Ever Adopt the Euro? 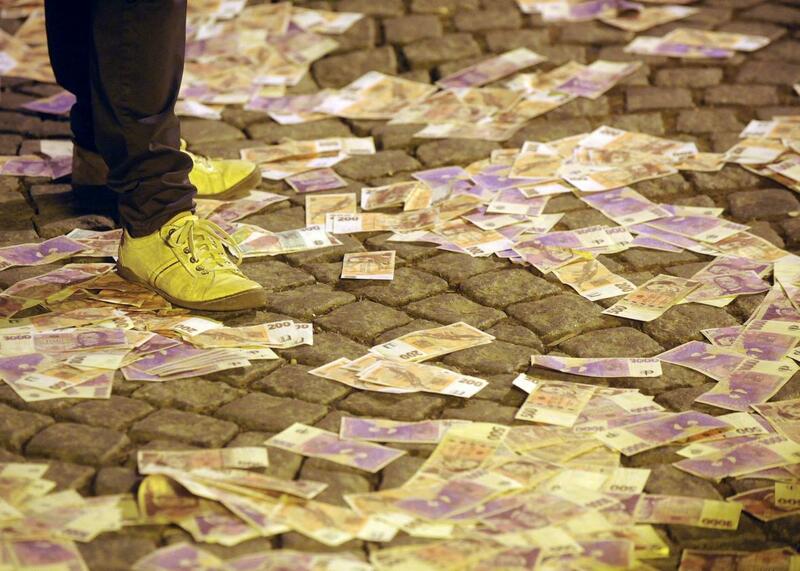 Where the streets are paved with koruna. At the end of last year, Lithuania became the 19th country to adopt the euro amid speculation that it could be the last. Events in Greece since then haven’t exactly increased enthusiasm for the common currency. As the New York Times reports today, interest in euro adoption is flagging among the EU’s newer members, mainly in Central and Eastern Europe. The prime minister of Poland, once one of the most enthusiastic proponents of European integration, has said that euro adoption is probably at least five years off. Technically, adopting the common currency is a mandatory condition of EU membership. Britain and Denmark received special opt-outs when they joined. Sweden is “living in sin,” having no plans to adopt the currency despite having joined the union in 1994. That leaves Poland, the Czech Republic, Croatia, Hungary, Romania, and Bulgaria as countries that are technically obligated to adopt the euro once convergence criteria are met. Theoretically, all plan to eventually join the euro, but there’s no hard deadline, and given the Greece experience, none are in a particular hurry. The Czech Republic’s finance minister recently proposed holding a referendum on euro membership. The vote would be nonbinding—the country is still obligated by treaty to eventually move toward currency convergence—but as I noted earlier this week, the euro has lost every time it has been put to a vote, and such a vote could give the skeptical Czech government cover to simply put euro adoption on permanent hold. There are sound economic reasons for some of the new skepticism. Poland avoided recession during the worst days of the European downturn and has come out of the crisis as one of the continent’s most dynamic economies in part because its currency, the zloty, was allowed to depreciate, making exports more competitive. But some of the doubts about the euro are linked to the growing political appeal of euroskepticism: Hungarian Prime Minister Viktor Orbán’s speeches comparing Brussels bureaucrats to Soviet apparatichiks have been a hit with voters. Either way, fear of becoming the next Greece is likely to induce these countries to join the sinful Swedes in keeping their koruna, zlotys, and forints. After all, if the Greeks are now accepting the Bulgarian lev, why shouldn’t the Bulgarians?